I've recently had the opportunity to play a number of Aaron Drake's tenor mouthpieces. It was a fun opportunity, and the mouthpieces were all easy playing, solidly designed, and generally free-blowing. One of Aaron's interesting design features is a metal ring around the back, which is used on all of the mouthpieces I played except his Reso model. Interestingly and probably not by coincidence, the sound of these metal-ringed mouthpieces is a bit streamlined, somewhat similar to the compact but beautiful sound of a good metal Otto Link. It's also worth noting that each of the mouthpieces come with its own ring ligature. The ligatures were easy to use and secured the reed nicely, though you'll see in the video that I preferred my two-screw metal ligature sound-wise. Note on perspective: Because mouthpieces can sound different while playing it yourself versus while listening to a recording or listening to someone else play it, I'll focus my tone-related comments on what I heard from behind the horn while playing. Then you can, of course, compare my comments to the tone of each mouthpiece on the video. The New York Jazz model is a great mouthpiece. It's designed to be versatile across R&B, Funk, and Jazz. It's very comfortable to play, and it has a balanced resistance, not too much or too little. The altissimo comes out easily enough, though some of the other mouthpieces sing a little better in that area. The tone has a nice core to it. There are a good amount of mids and highs in the sound that give it a solid presence, and it's easy to hear the definition of the tone while playing. I felt that the timbre lies just on the brighter side of the dark-to-bright spectrum, and it has plenty of edge or punch to it. I'd play this mouthpiece on a gig without thinking twice. Drake's Reso model is meant to recall the Otto Link "Reso Chamber" mouthpiece (Seamus Blake & Ben Wendel play Reso Chambers). The mouthpiece is really fun to play, in that it allows you to put a lot of air through the horn and makes it feel like you can really push it hard playing-wise. I played a number of gigs on this mouthpiece, including one outside, and it was always up to the task. That's a big ask for a large chamber mouthpiece. Besides having plenty of power, the mouthpiece also stays true to the original Reso Chamber with a big spread sound. While it does have warmth, I didn't perceive the sound as dark per se, more a flexible middle-of-the-road timbre, which can also be pushed brighter. The altissimo register was easy and responsive. Overall, this is a very fun mouthpiece to play. 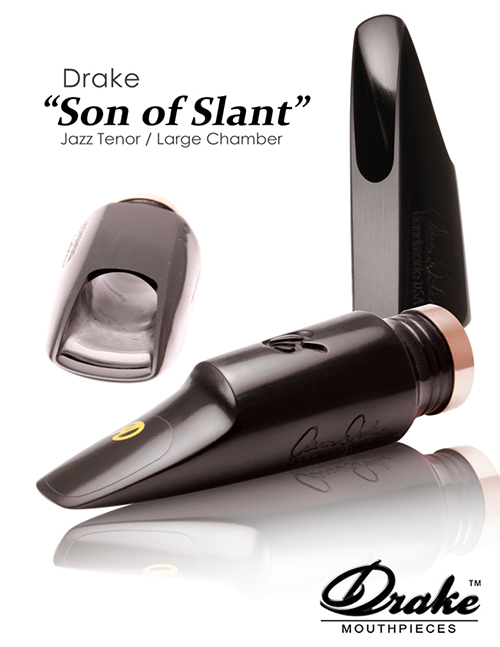 The "Son of Slant" model is Drake's take on the classic Otto Link "Slant Signature" mouthpiece. I played both the medium and large chamber models, and as I preferred the medium chamber, that's the one I included in the video and the one I'll focus my comments on. This mouthpiece has a free-blowing resistance that akin to a vintage hard rubber Otto Link. The resistance is comfortable and on the lighter side. The tone is spread, with a nice mix of core and edge that give the sound definition. Importantly, the sound also has some power and volume to it. The mouthpiece really accomplishes its design goal of delivering a "vintage feel with a modern delivery." I also played both of Drake's Bergonzi Master Series mouthpieces. One of these was the Bergonzi Master Series "EB" model, which is based on Jerry Bergonzi's personal Early Babbitt Otto Link mouthpiece. This mouthpiece is fun to play, but because the sound is so spread, I'm not sure I'd be comfortable playing on it long term. Of course, Jerry Bergonzi gets a big, dark, and spread sound, so that's really what you're expecting. 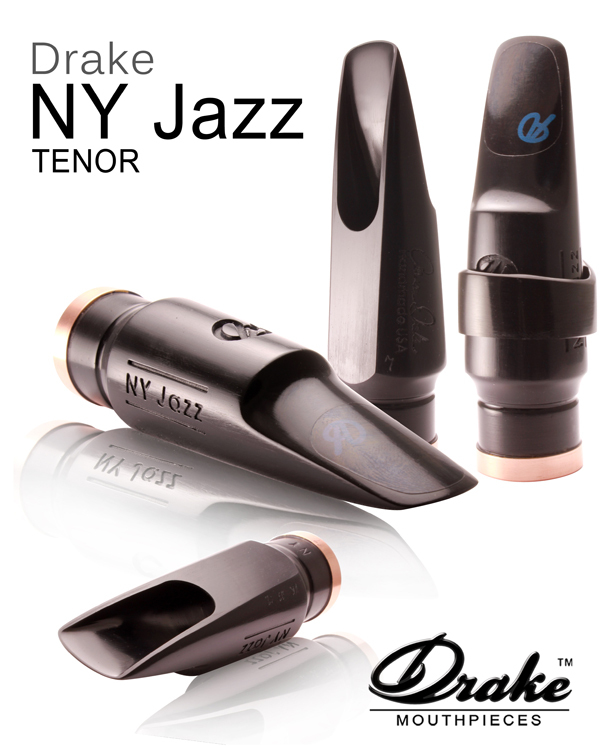 The resistance of this mouthpiece feels comfortable, including the altissimo register which sings easily. If you're looking for a piece of equipment that will bring you closer to Bergonzi's conception, you should definitely check this piece out. The Bergonzi Master Series "Slant" model is its own unique design. It has a warm, spread sound, though not as spread as the "EB" version. The sound has some core to it giving the sound a bit of focus making it easier to hear while playing. Similar to the "EB," the timbre is on the darker side. Also similar to the "EB," the altissimo feels very easy to play. I really enjoyed playing these mouthpieces. 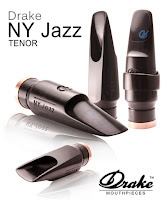 My favorites were the NY Jazz and the Reso, but each mouthpiece has been designed to appeal to players looking for a different type of sound and response. For those of you who are still on the search for a mouthpiece, I highly recommend checking out Aaron's work. Did you ever compare the Jazz to the NY Jazz tenor pieces. I had a Jazz and found it too brightish. Just ordered a NY Jazz and hoping it's a it less bright and fuller sounding.